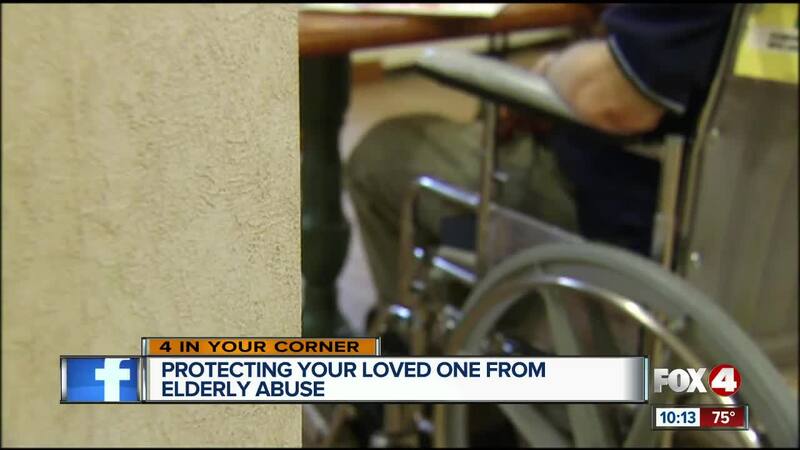 CAPE CORAL, Fla. — A new report shows elder adult abuse increased significantly in the past 15 years. Centers for Disease Control and Precention (CDC) released the report showing a 75 percent increase in non-fatal assaults against men 60 and older, and a 35 percent increase against women 60 and older between 2002 and 2016. Dr. Jo Stecher, assistant director of the undergraduate nursing program at from Florida Gulf Coast University, says families should look for sure signs that can point to whether loved ones are getting abused. Stecher also points out that seniors with cognitive impairment could see situations differently and skew their reality. “What might be perceived as caring for them physically, might be abuse in their minds,” she said. She added that neglect is the most common form of abuse among persons 60 years and older. Dana Overton fears his mother is not getting the proper care at the hospital she’s currently staying. Overton claims hospital staff neglected his mother leading to bed sores and weakness in her legs. “They haven’t moved her. They’ve let her body just lay there largely for 30 days,” Overton said. He claims he filed a police report and a complaint with the Department of Children and Families. Overton says the biggest concern is his mother’s safety. “I blame myself that I brought her here. It may have happened at any hospital… I don’t know, but it makes me feel like I failed my mom,” Overton said.